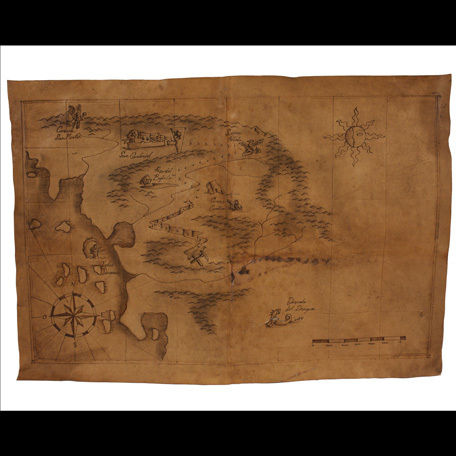 This leather prop map was used onscreen in the 1998 motion picture “The Mask of Zorro” starring Antonio Banderas, Anthony Hopkins, and Catherine Zeta-Jones. 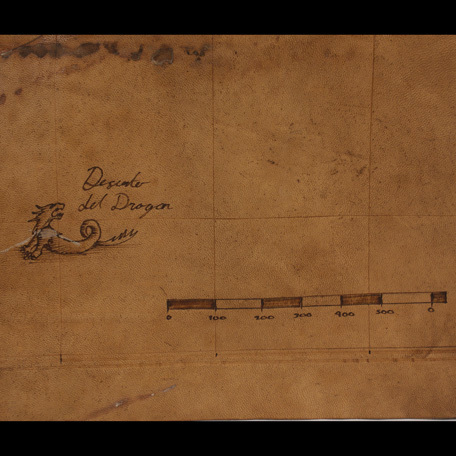 The map was custom made for use on the production and was hand illustrated on leather hide by the Art Department to create one of the film’s most pivotal key props: The “Treasure Map” depicting the location of the gold mine referred to as “El Dorado”. 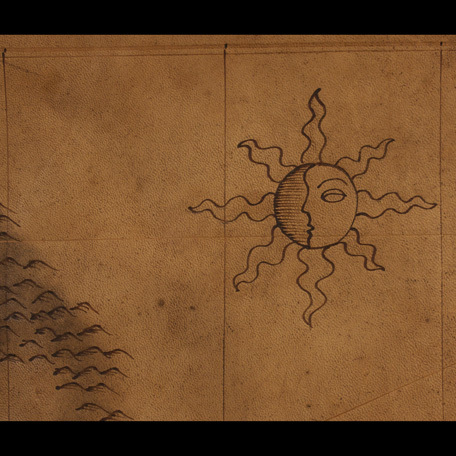 The map features various locations written in Spanish with mountain ranges, road and/or waterways with a large compass in the lower right and a half-moon/sun face in the upper right. 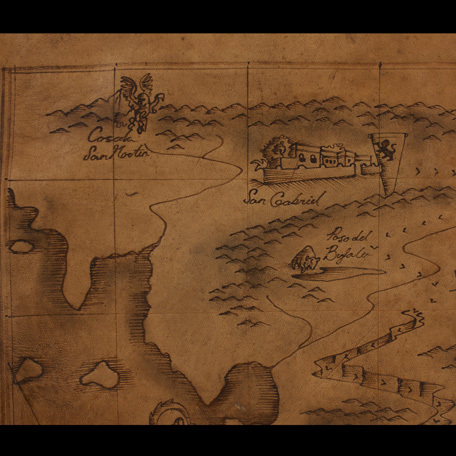 This pivotal plot element first appears onscreen during the scene in the office of Zorro’s nemesis “Don Rafael Montero” (played by Stuart Wilson). 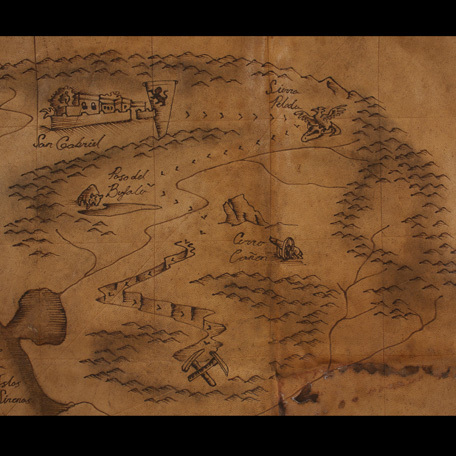 The treasure map is clearly seen laying atop a document pouch on Montero’s desk as he and “Capt. Harrison Love” (Matt Letscher) heatedly argue about Zorro’s threat to their plans. 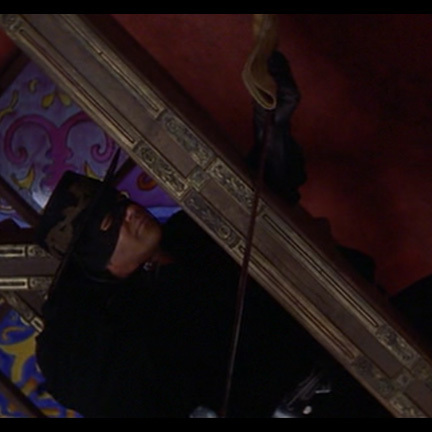 While the two are distracted, “Young Zorro” (played by Antonio Banderas) hangs unseen from the rafters above and uses his sword to retrieve the map. 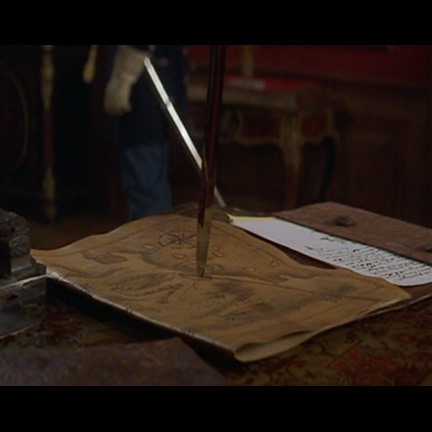 Zorro later drops to the floor with the folded map in his mouth after the two exit the room with Capt. Love in possession of the leather document pouch. 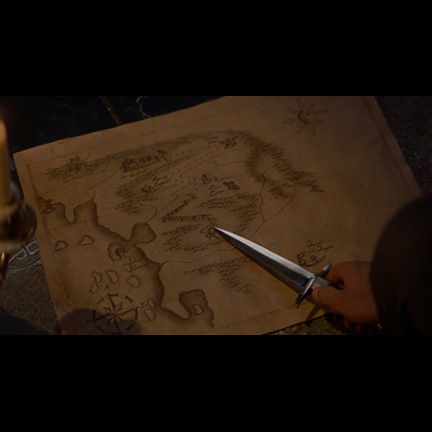 The map is next clearly seen in a close up shot after Zorro has returned to the hideout of “Old Zorro” (played by Anthony Hopkins) and the two discuss how to foil Montero’s plans to conceal the mine from the Spanish authorities by blowing it up along with all the peasant slave laborers who have been working the mine.. 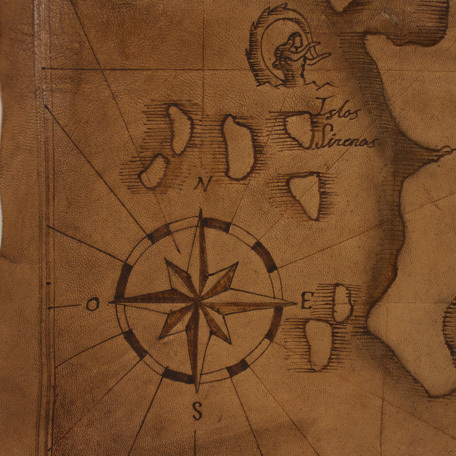 The prop map is in hand aged/distressed condition and is accompanied by a letter of authenticity.